Whether you're at the idea stage or ready to grow your business, The Société is here to support you. The Société is something I’ve dreamed about doing for a long, long time. I started working on this in August last year, with the aim of making it THE best online community for Female Entrepreneurs. I’m a serial 7 figure entrepreneur with the experience of running profitable online and offline companies and within the first few months of starting my company four years ago, I realized just how lonely entrepreneurship could be. It wasn’t just the loneliness that got to me, either. It was the constant self doubt, it was the lack of clear direction and understanding of my purpose at a deep level, it was also a lack of skills that I just did not learn in Business School. I’ve successfully grown and still run one of the largest networks of ambitious women in the world (you may know it as #BossBabe) but I had this niggle inside of me that grew to a screaming voice within, telling me that I could be doing more to inspire, support and bring together female entrepreneurs. …and so here we are. Trust me when I tell you that The Société is a community that will support you through your journey of life, entrepreneurship and growth in a way that you deep down know that you need right now. I'm so looking forward to seeing you in there! A “one size fits all” strategy won’t create success in your business. Every business, entrepreneur, situation and approach is completely different. We understand that and it's exactly why we've created The Société to be tailored to you. DO ANY OF THESE THINGS APPLY TO YOU? You get a great idea and start to work on it, but SELF DOUBT creeps in and stops you moving forward? You struggle to see how you could create SUCCESS the way others do it? You just can’t grow your AUDIENCE but you know this would supercharge your business. You often lack strong clarity or DIRECTION but know if you had it, you’d be successful. You aren’t SUPPORTED by friends and family because they don’t really understand. 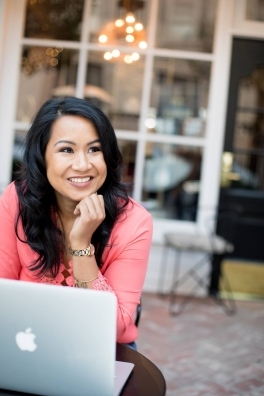 You’re building a business in ISOLATION and know it’s time to make Business Besties. You’ve downloaded free guides/strategies but they just aren’t applying to YOU. You don’t have the FINANCES to leave your current situation and grow your business. ...then, surprisingly, I have great news. Every single one of those things is FIXABLE and you can turn your situation into one that is successful beyond your wildest dreams. We created The Société because it’s everything we wish we had when starting & growing our multiple (successful!) businesses. We’re here to support you through the highs, lows and massive milestones that you know you can create. You know who they are, you understand how to serve them and you’re getting your message out in front of them. Your audience are completely engaged with you/your brand. You understand your passion and purpose and feel complete clarity on what’s meant for you. Now you know how to take this in the direction of a profitable business. No more feeling stuck. You have a step by step plan and know exactly what you need to do to achieve success. You don’t feel alone when you hit a roadblock, instead you’re supported through the problem with a solution. You set your financial goals and smashed them. You then realized, as a successful entrepreneur you have limitless income potential and are willing to put the work in to get there. You are supported when you hit a ceiling and are encouraged to dream bigger. You have hundreds (or thousands, or millions!) of customers, clients and followers thanking you for the impact your business has made on their lives. You helped them with exactly what they wanted. The confidence you have in yourself is greater than it’s ever been. You don’t doubt that you’re powerful and deserving of everything you dream of and you’re ready to go and get it. The real luxury is that you’re SO happy, energized and productive. You have the tools you need, strong support behind you and you’re completely taking over. You’re able to spend more quality time with your family, take incredible vacations, pay off any debt and are able to work from home (or anywhere in the world!). How Do We Help You Achieve These Results?! Instead of buying and piecing together 10 courses this year, we’ve got absolutely everything you need right here in The Société. Every month, we invite an expert (with proven thriving business success) in to teach you their secrets. Expect a Masterclass or Video Series with our expert and a Workbook designed for you to go alongside the class. Each month we'll focus on a different area, making sure that each month is buildable as a strategy and customizable to your business. At the beginning of every month we'll host a Goal Setting Workshop. This will be a place where we'll set goals, create an action plan for the entire month and a strategy for getting there. Oh, and they're so fun that they may end up being the highlight of your month! In the middle of each month we'll hold a group coaching Q&A session with you where you can get all of your business questions answered. Push past any blocks that stop you from achieving your goals this month and work with us to get the answers you need. All sessions are online and are hosted at a time that'll work with everyones timezones, because we're all international babes in here! …a brand new, Monthly Success Kit delivered to you every single month! …work with us directly (AND your amazing Société besties) at least twice per month! …with done for you legal templates, how-to videos, swipe files and workbooks. ...we'll set an affirmation each month & send you a gorgeous pack of wallpapers for your laptop and phone. ...work hard and you could win a HUGE business package worth $1,600 for free - every month! We're always updating the resource vault with everything you need to make your business wildly successful. Don't see what you need? Just request it! Each month we'll award one Société member with a Spotlight Award. You’ll win two 1:1 30 minute Coaching Sessions, promotion to our audience of over 1 Million #BossBabes and an exclusive Société Swag Bag. Once doors close, we won't be opening up again for a few months and the price will be going up. When you sign up, your monthly fee will never increase and you'll lock in this price. The membership cost will be going up once we re-open in May, so make sure you lock in your membership now. Join us for just $34 monthly! Cancel at any time with no cancellation fees. Full, instant access to The Société. New Success Kit delivered monthly. Unlocked Resource Vault updated frequently. Two group coaching sessions every month. Invitation to join our secret Société community. Plus all of the listed benefits on this page above. Price locked in and will never increase. Join The Société For $34 a Month Now! Or, pay for 12 months upfront for $339! Limited Edition SOLD OUT #BOSSBABE Bangle! We believe in collaboration every step of the way. We also believe that success should be shared and celebrated. Is The Société right for me? Our active community is packed with badass, friendly, high performing women. You're probably going to find your next business besties in The Société. But, it's not just the usual Facebook Group community you're used to. ...organize or attend a meet-up in your city! Grab a cocktail or coffee with your new Société babes. ...if reading is your thing, join our book club each month & learn and discuss alongside us. Join us in the group where we'll be chatting amongst ourselves about everything business and personal. We'll be going live to hang out with you guys regularly, as well as sharing articles we're loving and other bits of information we know you'll find so much value in. ...oh and our team will be on hand to answer any questions you have in there too. Once doors are closed, we'll only open up once more this year. SAVE $69 WITH ANNUAL ACCESS! Exclusive Limited Edition SOLD OUT #BOSSBABE Bangle! If you choose to join us on the monthly plan, you can cancel at any time with no fees. Working Together, We'll Help You Create More Success, Faster. We're giving you the roadmap. Knowing you can create success if you're just supported more. Beginning to scale your dream business. Within The Société, we work with members through all different stages of their businesses. 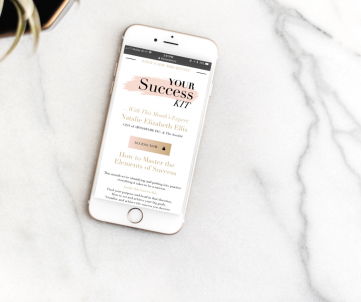 When you first join us, we’ll take you through a series of onboarding questions so we can figure out at which part of The 5 Pillars of The BossBabe Success Framework you’re in. Within each stage of your journey (outlined below) we’ll be helping you work through resources and mentoring you through the process - with the goal that you’ll continue to scale your business. You’ll tick off your progress as you go - think about this as the ultimate business checklist to keep you on track with your goals. The journey might be a one filled with ups and downs, but we’ve got your back at each step of the way. The Purpose pillar is the idea and alignment stage. It’s about figuring out exactly where you are going, in both your life and business. What are you passionate about? Does this align with your business? What do you want your life to be like? What don’t you want it to be like? In this stage it’s important to set SMART goals for the next 6 months, 1 year and 3 years. These goals can be both personal and business related. From there we can support you in creating your business map and figuring out exactly how you get from A to B. This pillar is about building and connecting with your audience and community. It’s important to be aware that in order to build, you must first understand that this isn’t a numbers game, it’s a game of targeting... just like darts. A targeted community of 10,000 will create more revenue than a non-targeted community of 100,000.
Who is your audience? What are their pain points? What do they need help with? What are the kind of things they say? Where do they hang out? Once you are clear on your target audience, you need to start building influence within your niche. To do this, it’s important to position yourself as a thought leader, because if you want to build influence, you need to prove that you’re worthy of it. Revenue is complete vanity! Remember this. Profit is sanity and cash is king. This means you need to be making real profit, because your revenue could be six or seven figures, but if it’s costing you the same amount of money to even generate these figures, you’re not profitable. And to ensure you are making profit, you need to know your numbers. You need to understand your financial figures and your sales figures. But don’t freak out...we can make this super simple! When we talk about systems, we mean creating systems for growth and scalability. This encompasses so many things and is incredibly important to get right. Included within this area is the art of automating your business systems, making sure that your business is working for you rather than you working for it! You should always be looking to automate processes that drain your time but aren’t profit generating. This type of lean business model is a winner. If you or your team find yourself having to complete laborious non-income producing tasks frequently, do some research to see if there are any software or systems you could introduce to help support you. What are your competitors using? What are the reviews? The final part of the BossBabe Success Framework is growth. Now, when we say growth, we mean both business and personal growth. You need a business growth plan and a personal growth plan. Starting and growing a business means you have to be open to and be willing to face challenges every single day. You have to be willing to make mistakes but fundamentally learn from them. In what direction do you want to grow your business? Do you have a plan? Who will you need to help you execute the plan? What do you need to do or learn to put the plan into action? If you don’t have the answers to these questions, we have a ‘How to Write a Business Plan’ workbook for further clarity. Armed with a degree in Business Management, Natalie is a successful serial 7 figure entrepreneur with a love for business strategy, psychology and entrepreneurship. Natalie has worked with academic institutions and government organizations to advise on young entrepreneurship, as well as winning over 11 national awards for her work in the space. Natalie's passion lies in empowering and supporting women to have the confidence and skills to build and run successful businesses. We've also got an incredibly talented team behind the scenes at Boss Babe who will support you through your journey at The Société. Joining Natalie at #BossBabe is power house business woman Danielle. After starting her own business at 22, Danielle has gone on to become a serial 7-figure entrepreneur. Danielle understands that being a successful entrepreneur is not just about the business skills but about personal development, facing new challenges, and pushing through fears. As a trained business coach and chiropractor Danielle’s passions lie in high performance, business strategy and sales. Hands down, having Natalie as my mentor has been the best business decision of my life! As I changed my career path I was left with a ton of doubt and brain fog on what steps to take next. I knew if I didn’t invest in someone who had ‘been there, done that’ I was in for years of growing pains. She gave me real world advice and actionable items to follow, getting me to my goal faster than I ever thought possible. I even wrote and published a full length book in 1/3rd of the time by putting her growth hacks into place. If you want a clear path to profitability, and you want it to happen NOW, I highly suggest working with Natalie to get there! "As a result, I've made $14,000. More important than the numbers, is the fact that the ladies in this community want to create transformation and change in their business. They are committed. Every single woman I have talked to on the phone are passionate about their businesses and careers, and seek continuous growth. Thank you, Natalie, for this opportunity and for letting me be a part of such a great community." Here's an example of the power of this promotion... We promoted Elaine's Masterclass to the BossBabe Community, where she gave away word-to-word scrips to help our community have difficult business conversations and change their perspectives. This was a funnel for Elaine which then converted in a couple of weeks to make $14,000 in profit. Having Danielle as my coach and mentor has brought massive success for my life and career. Before working together, I had plans and goals to start my own business, but fear was holding me back. Danielle helped me see the abilities in myself and with her help, I created my business and finally left my job in 4 weeks. She sees my blind spots, offers her years of experience as a successful business owner, and most importantly, holds my vision for me no matter what. She cheers me on and helps me celebrate my wins (which I have rarely done before). I’ve started a business, created an effective morning routine, and the mindset I️ need to operate powerfully. I would recommend Danielle as a coach to anyone who needs genuine and effective support in their life and career. Is this suitable for me if I don't have a business yet? Yep! If you're still figuring out your idea, we've got you. You'll complete a questionnaire as soon as you login and we'll show you which area will be most beneficial. If you're in the idea stage, we'll help you gain clarity and direction, then walk you through all of the steps. Is this suitable for me if I'm in Network Marketing? Yes! We love network marketing babes. There is so much information for you inside The Société. I just signed up, but have not received an email yet? You may cancel anytime. Just inform us that you would like to cancel 30 days prior to your next billing date in order to not be charged for that next billing period. The Société is a monthly membership community, meaning members pay monthly. However, on occasions the membership may open with a discounted annual membership option, this is subject to availability. If you choose to sign up through the monthly payments, then your first payment will be due the day you sign up. From there, you will be billed every month on the day that you enrolled. If you chose the yearly payment, you will make a one time payment and be set for the entire year (and receive an extra goodie too!). We would love to help you in anyway we can. Please email contact@thesociete.co with any general enquiries and payments@thesociete.co for all billing enquiries. We will get back to you ASAP with an answer! here's what members are saying about their new girl gang!